The tourists staying in Mauritius are privileged. This beautiful land in the Indian Ocean is a destination of paradise, world famous for its exceptional tourist sites and its luxurious accommodation. Here is a small collection of unmissable places to discover and activities to do. Villanovo can help you to organise your trip to these places - don't hesitate to get in touch for assistance. Not far from Le Morne Brabant, near the Black River Gorges National Park, is the incredible Chamarel, one of the most breathtaking areas of Mauritian nature. With its multicoloured volcanic ashes and its basins that attract bathers and picnickers, Chamarel is a geological curiosity and an idyllic place. This unusual landscape has been made from decomposed basaltic lava which has, over time, turned into clay minerals. The colours come from the chemicals that are in the soil where no plant grows. This area is worth a visit as it truly is a natural beauty with stunning waterfalls and breathtaking views which combine history, nature, and science in one of the most exquisite places in the world. It is an absolutely fascinating place where you can admire the land of seven colours, as well as an impressive waterfall of 83 metres high and be surrounded by lush vegetation. You can also go horse riding in the heart of nature or visit where they make rum as you will learn a lot. Come wake up your taste buds by walking along the "Tea Route" in the heart of three areas for a discovery of haunting aromas and know everything about manufacturing secrets. Near Curepipe, in the area of ​​Aubineaux, you will have the honour of visiting a colonial mansion and a floral park filled with endemic trees. You will also have to go to the Bois Cheri tea factory, the biggest tea producer in Mauritius. The full visit lasts between 5 and 7 hours and costs only €37, including all entrance fees. All in all, a real treat for tea lovers around the world who want to learn more about history, culture and nature. As a bonus, the estate is located near the 18-hole Avalon Golf Estate. And finally, in the last leg of your excursion, you will go to the Domaine de Saint Aubin, a charming table d'hôte that will let you enjoy tasty local products. You will be immersed in a splendid plantation with a greenhouse of anthuriums and vanilla. And, you will also have the right to taste the agricultural rum "Saint Aubin 1819". Tamarin Falls, situated in the Southwest of Mauritius, are a real natural beauty, difficult to reach, but most definitely worth it. For those that love spectacular scenery, this is the perfect place for you. Close to the village of Henrietta, this is the ideal place for those who love beautiful views in one of the most breathtaking canyons on the island. You can admire the 7 waterfalls nestled along the steep cliff and begin a hike in the heart of a forest listed in the Mauritian heritage or abseiling. This natural paradise combines deep valleys, rivers, mountains and lush forests. A breathtaking view is guaranteed on this force of nature. And, a natural wonder: to be able to massage naturally under water cascades. And, you will surely be accompanied by one of the most iconic birds of Mauritius: the straw-in-tail. Golf is one of the most popular sports in Mauritius and proves to be one of the star attractions for those visiting the island. Proclaimed "Golf Destination of the Year" for Africa, the Indian Ocean and the Gulf States in 2016, Mauritius is a real Eldorado for golf enthusiasts. The island offers unparalleled golf experiences in an exceptional natural setting. Mauritius is home to the 4th oldest club in the world and the oldest in the Southern hemisphere of the island: the Gymkhana Golf Club. A visit to this club promises a moment rich in history. Golf legends such as Ernie Els, David Leadbetter and Bernard Langer have inspired many courses around the island. These courses have been designed to study at best the efficiency and accuracy of golfers who are ready to play. Discover all the sports activities to do on Mauritius! To the Northwest of the island, in the Pamplemousses district, the Botanical Garden of Sir Seewoosagur Ramgoolam (named after the father of independence and the Mauritian Prime Minister of the time) also remains an emblematic place. In 1767, botanist Roy Pierre Poivre began to plant species from all around the world. Stretching over an area of ​​37 hectares, it plunges visitors into a forest of pleasant scents and bewitching. It can be said that the place is particularly rich in plant species of all kinds, coming from the four corners of the globe. From the baobab to the talipot palm, to the flamboyant and victoria amazonica water lilies, this sumptuous garden impresses the admirers of biodiversity. One of the main attractions in Mauritius, the botanical garden of Pamplemousses houses over 650 species of plants. Stretching for miles in length, around 85 different types of palm trees from all around the world have been brought here. The Pamplemousses Garden is open every day from 08:30 to 17:30. The entrance will cost about €5 / person (supplement for a guided tour). Founded in 1735 by the French governor Bertrand-François Mahé de La Bourdonnais, the capital, Port Louis, the heart of Mauritius, is also a city that has to be discovered during a stay on this tropical paradise. Its very large colourful market remains very pleasant to visit and captivates shopping addicts. It reflects the multiculturalism of the island and reflects, with respect, the touching story of the slaves of the island. In addition, Port Louis offers several interesting attractions for families such as the Rajiv Gandhi Science Centre, the Champ de Mars racecourse, the Fort Adelaide and the Les Pailles area. Nestled in the middle of mountains, this kind of cultural heritage is the perfect place to relax. Here you can enjoy a safari through the historical hunting grounds. Do not forget to go horseback riding and free your senses in the spice garden before heading to the Eureka House plantation. 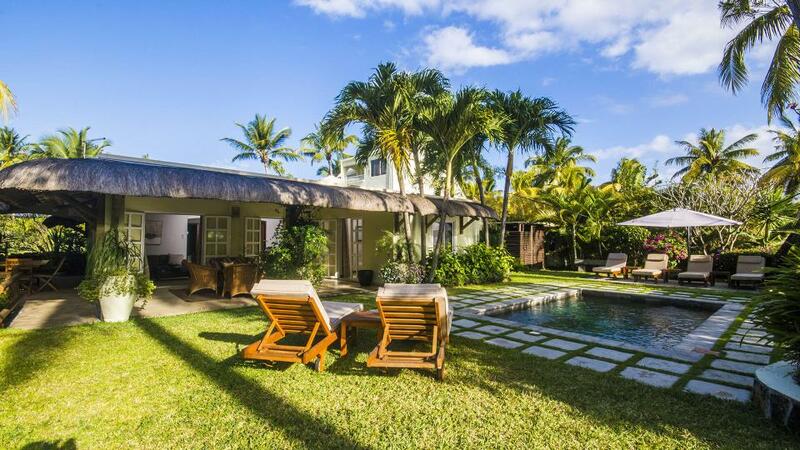 This colonial house, surrounded by green land, offers its visitors a taste of colonial life. It is one of the largest mansions on the island and houses a museum dedicated to art, music and antiques. Lovers of cuisine will appreciate a visit to La Vielle Cuisine which offers traditional Mauritian dishes. The least we can say is that Mauritius is full of romantic places thanks to its breathtaking natural heritage and vibrant life, both day and night. There's something for everyone! Holidaymakers who love to combine luxury and exoticism will surely be seduced by Grand Baie, an old fishing village considered to be the Mauritian Saint-Tropez. With its good restaurants, bars and nightclubs, this bustling city will be the landmark for fans of festive atmospheres and especially in the biggest discotheque of the island, Banane Café. Twenty miles under the sea, take a stroll in the depths to admire underwater beauties in a diving suit or take a parasailing high to admire the lagoon with its beautiful beach "La Cuvette" from above. And, for shoppers, you will not be left out. The big fashion brands are gathered at Sunset Boulevard and to find souvenirs to bring back from your trip, it is at the Grand Bazaar that is the market with colourful stalls in a pleasant atmosphere, not far from the wide choice of restaurants of great cultural diversity. Do not leave the area without visiting the cultural and historical heritage of this little corner of the North. Between the Tamil Temple, the Mosque or the Church of Salette, you will make beautiful discoveries! 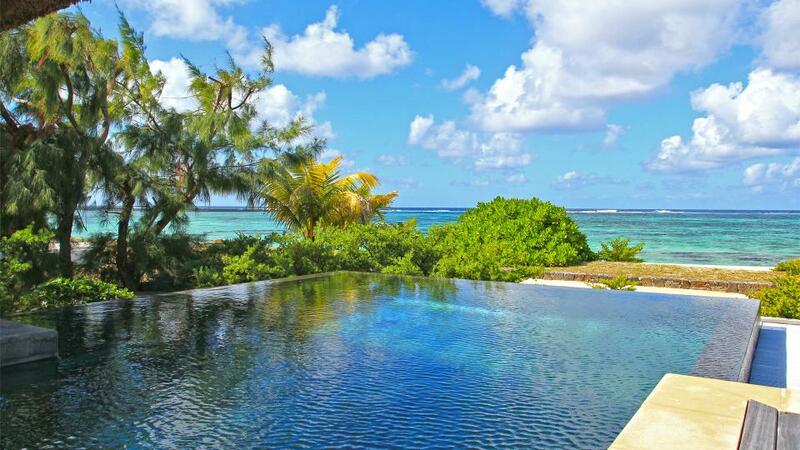 Situated in the Southeast of Mauritius, this area is perfect for relaxing and swimming. Famous for its snorkeling excursions, Blue Bay is home to the only marine park in Mauritius. Indeed, water sports are widespread on the island, popular with both locals and tourists. Due to the idyllic annual weather, Mauritius is the place for lovers of sea activities. From kitesurfing to water skiing to surfing and scuba diving, almost every sport is available! Ensure you take a trip on a glass bottomed boat and admire the beauty of the ocean and all its inhabitants. Prices are negotiable depending on the length of the trip so this will be a good day out for all the family. And, here is an activity that will win unanimity with the whole family: swimming with dolphins. Discover these beautiful creatures in their natural habitat and fill up with unforgettable memories while enjoying a swim with them. A breathtaking experience, one especially not to be missed! This experience will plunge you closer to these animals full of surprises. Do not hesitate to contact us, Villanovo can help you organise this unique experience. The famous 556-metre mountain called "Le Morne Brabant" is a UNESCO World Heritage Site under the title of 'Cultural Landscape' and is another one of the most popular tourist spots. Located in the Southwest of the island, it was formerly a sanctuary for slaves during the colonial period of the island and represents the symbol of the fight against slavery. In short, a true testimony of Mauritian history! A hike to the summit of the mountain will give you a breathtaking panorama of the surrounding area and will be a chance for a real return to the past of the island on one of the most spectacular peaks with steep and hard-to-reach sides. At the foot, the beautiful beach is undoubtedly one of the most beautiful in the South of the island where lovers of relaxation can enjoy the sun and azure water and there is also an area dedicated to water sports, ideal for fans of extreme sports on crystal clear waters. Casela World of Adventures is one of the most popular attractions in Mauritius. Situated on the West coast of the island, this adventure park is open all year round and makes for a great family day out. With different adventure packs to discover like visiting the animal park which counts many extraordinary species, and activities like quadbiking, canyoning or ziplining, you will not be bored here. Furthermore, the park is divided into four kingdoms: the world of safaris, the universe of nature, the world of mountains and finally, the centre of discovery in the heart of the natural science and history of Maurtius. In the leisure park, face zebras, ostriches, giraffes and antelopes during a ride in a 4x4 to be closer to the animals for an encounter with these impressive wild creatures. And for an immediate adrenaline rush, slide on the Tubby Slides, grab a toboggan and descend. For a day that combines education, fun, and a love for the great outdoors, get yourself to Casela World of Adventures.